Four runners, boasting a total of 15 G1 wins between them, go to post in the £150,000 G1 Betfair Tingle Creek Chase (3.00pm), the highlight of the Betfair Tingle Creek Christmas Festival at Sandown Park on Saturday. Altior (Nicky Henderson/Nico de Boinville) is the red-hot 8/11 favourite with Betfair for the two-mile contest. The Patricia Pugh-owned eight-year-old is unbeaten in nine starts over fences, with five of those successes coming in G1 company. His G1 wins include three victories at Sandown Park - the 2016 Henry VIII Novices' Chase and the latest two renewals of the bet365 Celebration Chase. Altior's exploits in the 2017/18 campaign saw him earn a rating of 175 in the Anglo-Irish Jump Classification, making him the best two-mile chaser in Britain and Ireland and just one pound behind Cheltenham Gold Cup winner Native River in the overall standings. Trainer Nicky Henderson is chasing a second Betfair Tingle Creek Chase success, having previously taken the honours with the outstanding Sprinter Sacre in 2012. Un De Sceaux (Willie Mullins IRE/Ruby Walsh, 9/2 with Betfair) landed the 2016 renewal of the Betfair Tingle Creek Chase when scoring by a length from Sire De Grugy. A very consistent performer with a total of nine G1 wins to his name, Un De Sceaux will be making his first start since taking the two-mile Champion Chase at Punchestown in April. He earned a rating of 168 in the 2017/18 Anglo-Irish Jump Classification, making him second only to Altior in the two-mile division. The two other runners are both second-season chasers. 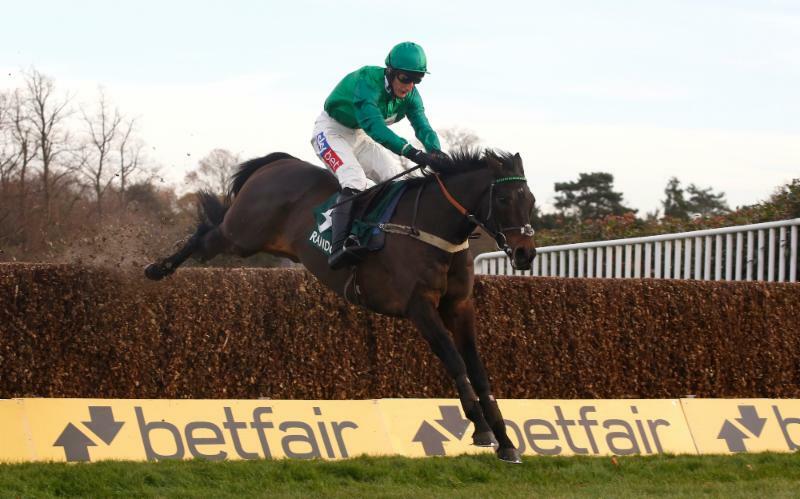 Sceau Royal (Alan King/Daryl Jacob, 5/1) landed four of his five outings over fences last season, headlined by an impressive 11-length victory in the G1 randoxhealth.com Henry VIII Novices' Chase at this meeting 12 months' ago. The six-year-old, who is owned by Simon Munir and Isaac Souede, reappeared in the G2 Shloer Chase at Cheltenham on November 18, when scoring by a comfortable two and a quarter lengths from Simply Ned. Trainer Alan King said: "Sceau Royal worked on Wednesday morning and had a pop on Monday, and we are very happy. "It is a huge task, as we know, taking on Altior and it looks like it is going to be an absolutely corking race. "We were delighted with his win at Cheltenham because that was his first run since February. "I would like to think he has come on a little bit but he will have to." Completing the line-up is Saint Calvados (Harry Whittington/Gavin Sheehan, 6/1). The five-year-old was successful in three of his four chase outings in the 2017/18 campaign and returned to action with an impressive success in the G3 Poplar Square Chase at Naas, Ireland, on November 10. Andrew Cooper, Head of Racing and Clerk of the Course at Sandown Park, said today: "The 2018 Betfair Tingle Creek Chase is high on quality with the field headed by Altior, who was the best two-mile chaser by some way in Britain and Ireland last season in the Anglo-Irish Jump Classifications. "Altior's unbeaten record over fences includes three stunning successes at Sandown Park and we all look forward to seeing him here again on Saturday. "Un De Sceaux was the second-best two-mile chaser in Britain and Ireland last season and his nine G1 wins of course include a Betfair Tingle Creek Chase. "Sceau Royal is also a G1 winner at Sandown Park and along with recent impressive scorer Saint Calvados make up an outstanding quartet for what should be a fascinating renewal of the Betfair Tingle Creek Chase." Betfair spokesman, Barry Orr, commented today: "There may only be the four runners in the Betfair Tingle Creek Chase but they are four of the best two-mile chasers in training and the race is chock-a-block with quality. "Altior has been favourite since the entry stage and that won't change between now and Saturday but there has been plenty of support for the three remaining protagonists and a strong case can be made for each of them. "It is a cracking renewal and looks a great betting heat."